Marcel has been involved in sports activities all his life. However, it wasn't until 2005 that he decided it was time to brign the amazing benefits of exercise to other individuals. Marcel was a top trainer in a large scale gym but felt that just wasn't enough to bring true, positive life-change to his clients. In 2006 at the age of 23 he set off to start his own company while working towards his B.S. in Kinesiology (the study of human movement and biomechanics) and B.A. in psychology. His dedicated efforts have helped bring fitness to many people from many different backgrounds. For him, it's not just about the aesthetics of being in shape though; it's about the vast improvements that boldly color all areas of a person's life. From work relationships and general attitude, to self-confidence and happiness, the transformation that people undergo is uplifting and inspiring to be a part of. As he constantly reminds his clients, "you teach what you need to learn!" 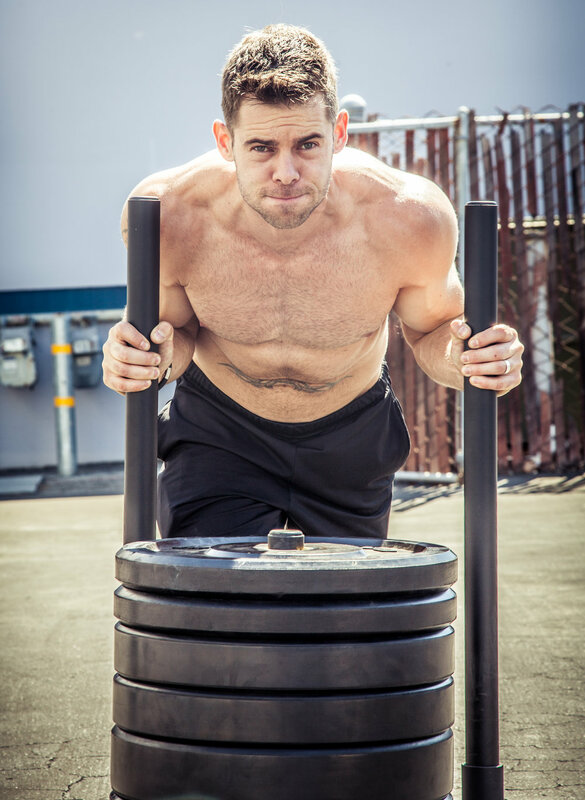 In 2010, he opened up his own gym to bring a more functional training approach to the fitness community. Marcel believes whole-heartedly that in order to be fully healthy, you need to be well-rounded. That means harmoniously integrating exercise with nutrition on the foundation of lifestyle management. His role as part of the 3Fit team is to guide clients to the fitness results they want in an enjoyable and challenging way. Marcel enjoys rock climbing, loves almost all outdoor activities (snowboarding, backpacking, camping, etc. ), lifting weights, making music (playing guitar, singing, composing), spending time with friends, and cooking. He practices meditation with his wife a couple nights a week. He rescued an anxious dog and a very talkative cat and enjoys some down time with them. Marcel has experience with track and field, martial arts, boxing, obstacle course events like the tough mudder and the spartan race, and body building. Marcel enjoys reading about physics and other nerdy science stuff in his spare time. 12+ years of building science-based fitness programs for individuals with fitness levels across the board. B.S. Kinesiology with honors from San Jose State University specializing in motor learning. B.A. Psychology from San Jose State University specializing in procedural memory.